Sixpence was the nickname given to shepherd Daniel Smiles who looked after the flocks of sheep that roamed the farm in the 1950s and 1960s, when current owner Stanley Louw was a boy. 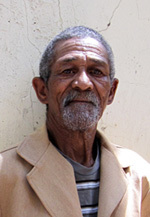 Sixpence’s son, Andries who retired in 2008, still lives on the farm. Over time the farm increased the amount of land under vine and stopped farming sheep. 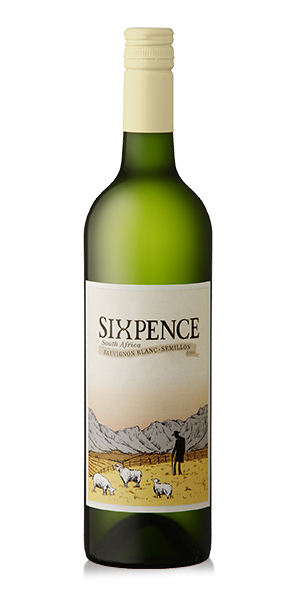 Vineyards were planted on what had been grazing land, and they have been referred to as Sixpence’s Vineyards ever since. The Sixpence wines are made from grapes mostly sourced from these vines. 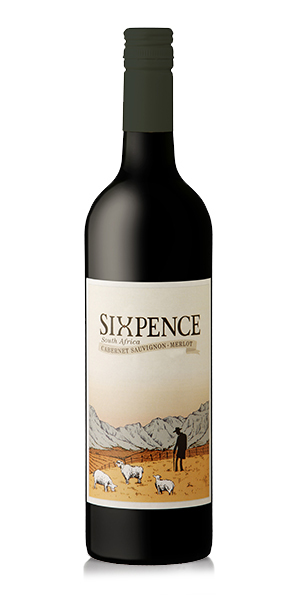 This wine range is a tribute to not only Sixpence, but all the legends that have worked on Opstal. With third generation workers on the farm we are proud to honour those that have helped to make Opstal a success. Wow, wotta nose. Could not be fresher or fruitier !! Loaded with ripe, tropical fruit like litchi and mango with fine citrus backing. Fresh mown grass is also there with floral hints in the background. Tropical fruit dominates the fresh, lively mouth. Lots of flavour to the degree that the fruitiness almost appears sweet although it is beautifully balanced with the lively acidity. Ends full of fruit but dry. Delightful wine now in its youth and should develop well over year or two. Very versatile. Drink as an aperitif or all manner of light foods. Dark and red berry fruits with plum and hints of coffee and chocolate. Fresh and fairly racy in the mouth with layers of ripe, red berry flavours. All rolls out across the palate with just enough tannin to give good grip. Also very versatile wine that could accompany a wide range of meat dishes, especially steak, pastas, pizzas and rich seafood. Lovely, satisfying wine now with potential to develop in the bottle over a few years. At the price a total give away! !